So my goodies (and Chris) arrived from India today! He brought back awwwwesome stuff!! I posted yesterday about the nail polishes that he found for me, and today, I decided to use them for my nail art!! 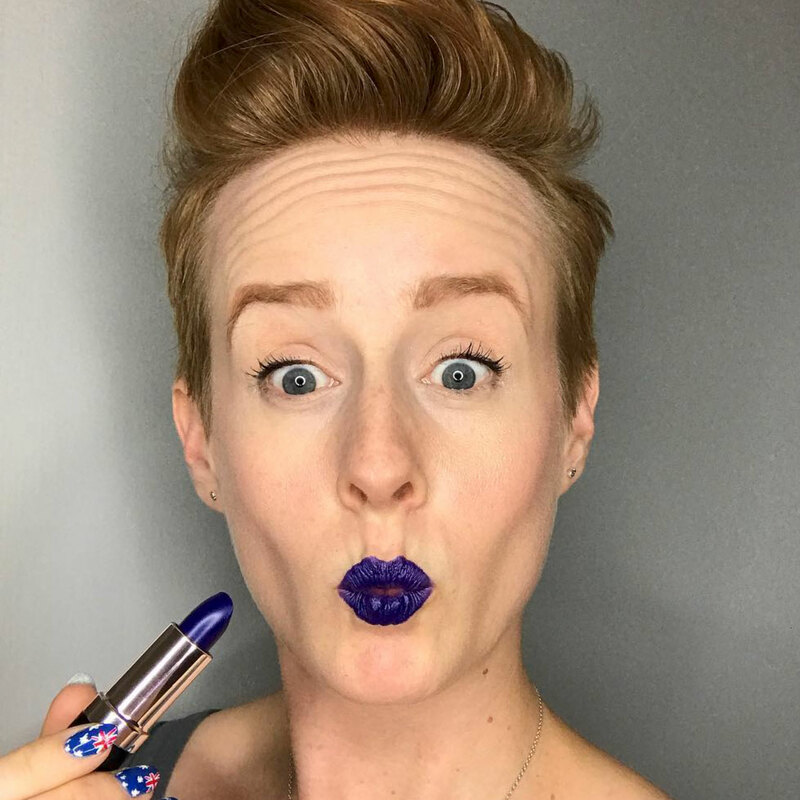 To my Indian readers, I need your help- do you know what color this is? I have two VERY different colors with the same color name label! I used Lotus Herbals Colour Dew Orange Alert (different than the one on their website- it's an amazing orange creme, totally looks like the color of papaya) as a base, with American Apparel Cotton for the flower, outlined in the actual Lotus Herbals Colour Dew Orange Alert, which IS the shade on their site, a shimmery golden color. Topped it off with 2 coats of Seche Vite top coat. 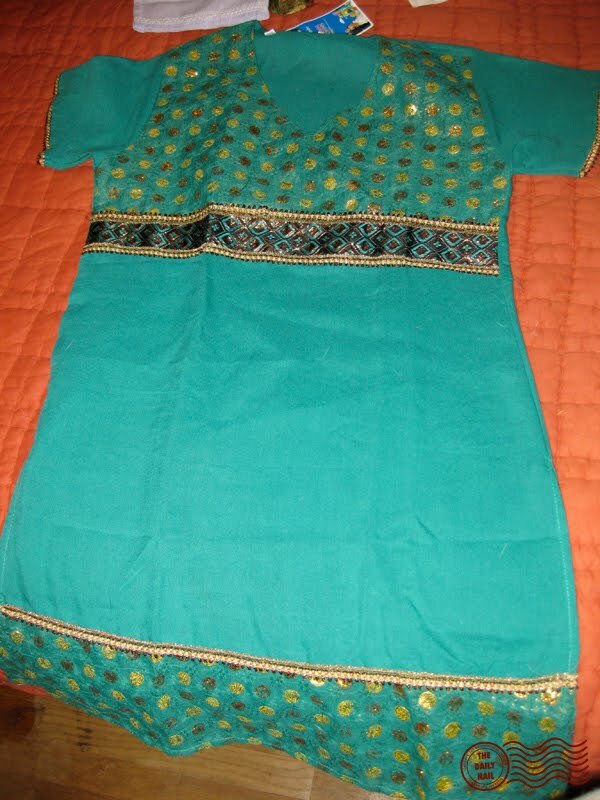 Emerald green Kurta, it's a type of Indian attire that women wear- somewhat like a tunic. 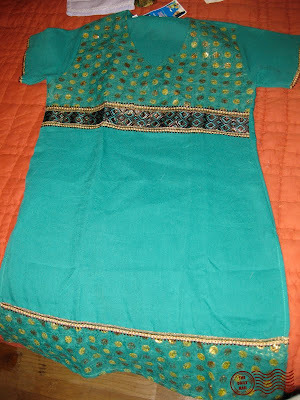 :) Its hand embroidered and lovely! Lilac colored kurta, this one is also hand embroidered, and is long-sleeved! Wow what lovely goodies!!! 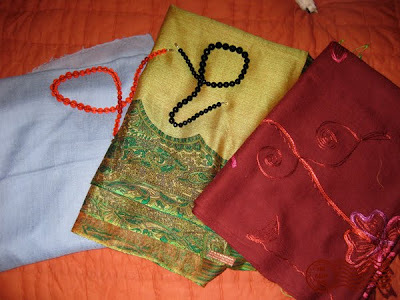 Indian fabric and colours are so beautiful! Well,The red Shawl has "Aari work" as embroidery on it,,,"Aari work" is a speciality of "Kashmiri handcraft",,,It looks beautiful ! 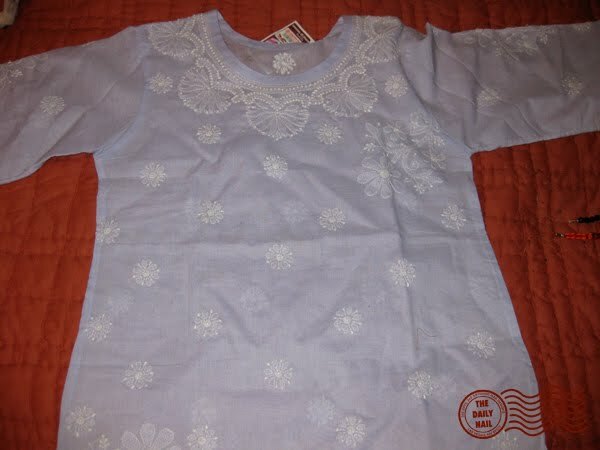 And the Lilac Color Kurta has "Lucknawi Embroidery(Kadhai..Hindi word for Embroidery,speciality of Lucknow,a town in U.P(India). Great design and awesome goodies! SCORE! Woo! I didn't get to comment yesterday and tell you to use the Indian colors...although I knew you would, but yeah. haha and those goodies are amazing. I must go to India now! 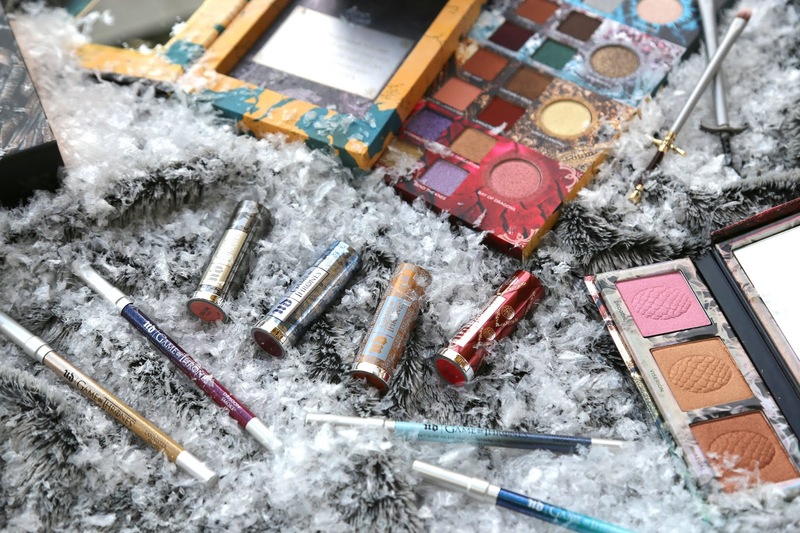 Those are some awesome goodies! I'm jealous! 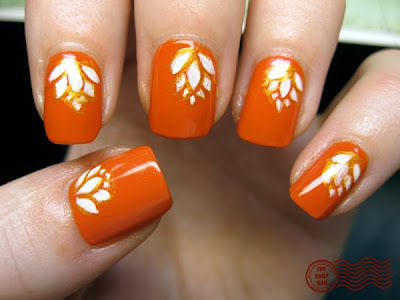 I love all of this nail art! The accessories, the colors and the style! You are very nice! !